Raquel is an active and vibrant musician and educator based in Brisbane, who performs regularly with the Queensland Symphony Orchestra, the QSO Chamber Players Series, Collusion and Southern Cross Soloists. Internationally, she has worked with various orchestras and performed as a soloist and chamber musician throughout Portugal, UK, Germany, Switzerland, South Africa, United States and China. 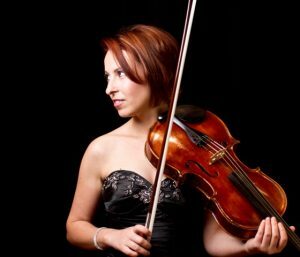 Raquel performed in New York for violist Kim Kashkashian and has given recitals in Portugal and New Zealand at the International Viola Conferences alongside the most renowned violists of her generation. Most recently, Raquel has launched the CD Essencia Urbana of compositions for viola and piano.